A lone French sailor saved himself and his cat when his 30-foot yacht lost its rudder and rigging in rough waters off the coast of Alaska. The US Coast Guard released a video of the dramatic rescue (above) that shows Manu Wattecamps-Etienne making a leap from the rigging of his sailboat La Chimere onto the oil rig support ship, Tor Viking, that had come to his rescue. 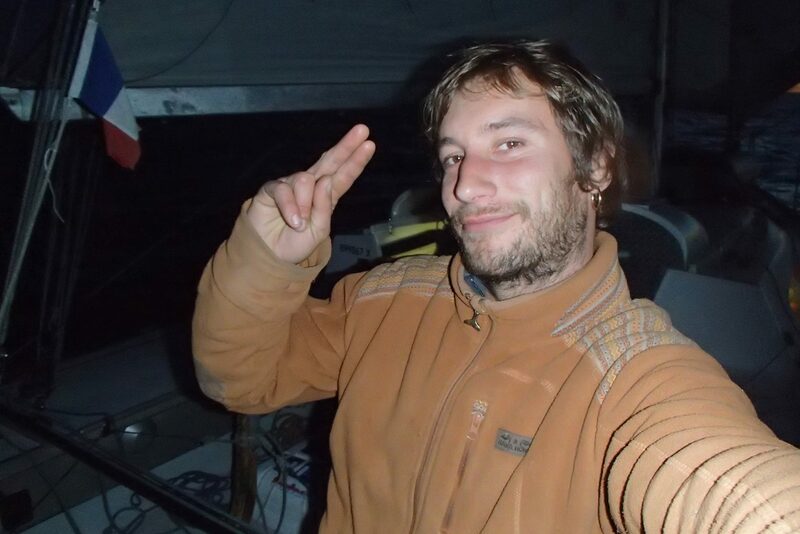 The 28-year-old sailor kept the feline, named Pipalup according to Wattecamps-Etienne’s Facebook page, under his jacket to protect it, and both sailor and cat survived unharmed. The incident was filmed by a C-130 Hercules Coast Guard plane monitorng the rescue some 400 miles south of Cold Bay, Alaska. 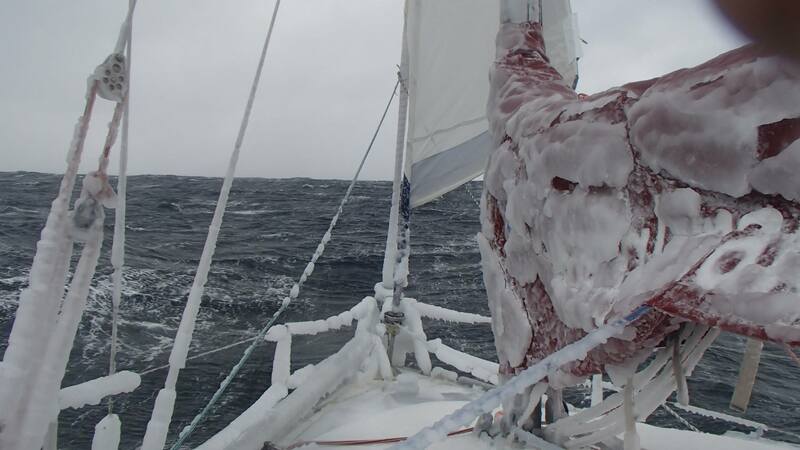 Wattecamps-Etienne’s sailboat was flipped in the middle of the night by a large wave while on route from Dutch Harbor, Alaska, to San Diego, and the cabin was filled with water. Wattecamps then activated an emergency locator beacon for help. The Coast Guard reported 20-foot seas and 46-mile per hour wind gusts during the rescue. RNLI Bembridge rescued four people after their yacht's engine stopped working and the anchor started to drag.